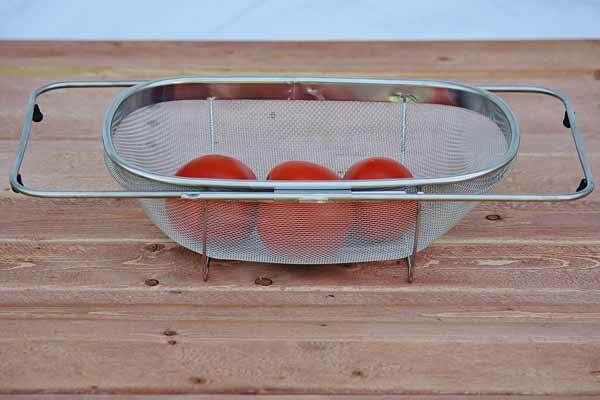 Adjustable over the sink colander for rinsing veggies, fruits, and pastas. Stainless steel, wire mesh strainer. Sturdy, lightweight and reliable for long use. An over the sink strainer makes pouring hot pasta and rinsing vegetables easy! Put it ontop of the sink or stand it sturdy inside.